It’s that time of year again…Sunny & Beautiful November in Florida! Don’t be jealous! In Sunny November the county tax collector sends property tax bills to Florida property owners. Learn more, click the video & read below, also click & check out National Wallet Hub’s interview of Suzanne Hollander on property taxes in “Ask the Experts: Turn Taxes into Investment”. You may pay by credit card, but a convenience fee will be added to your total bill. If you mail your payment make the check payable to Miami Dade County Tax Collector and make sure it is post marked with a date in November. Don’t send cash! Date, sign and write your folio number on your check. (If you don’t know what a folio number is contact me!) To look up your bill and for options to pay check out Miami Dade Tax Collector’s Website. If you own property in another Florida county, check out your tax collector’s website! 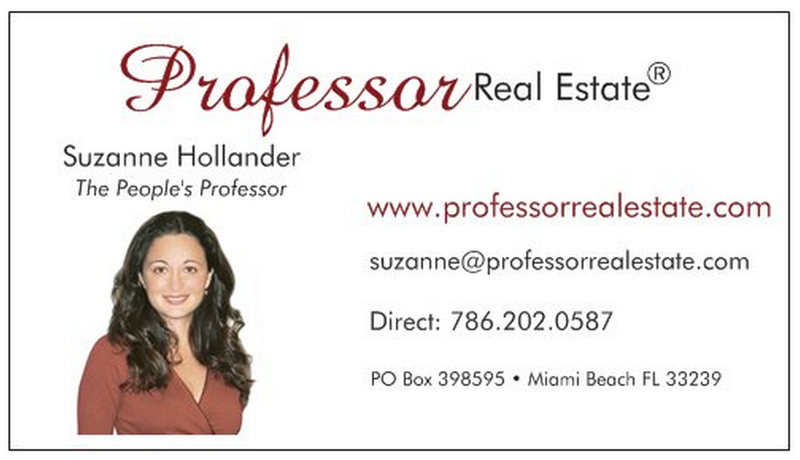 To learn more about Florida Real Estate send an email to the Suzanne Hollander Companies: Hollander Realty LLC offers smart, confidential real estate services to sellers and buyers of residential and commercial property. > Financial Education > Save 4% off Property Taxes in November!